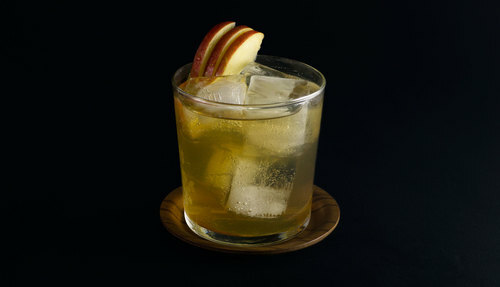 Cocktail recipes calling for apple cider are shockingly hard to come by. Rooted in a simple and widespread colonial-era mix of rum and hard cider, the stone fence has a long and potentially patriotic history. Legend has it, this drink was quaffed by Ethan Allen and the Green Mountain Boys, giving them the liquid courage needed to capture and loot Fort Ticonderoga early in the American Revolutionary War. While this makes for a pretty good story, like many cocktail histories, it may be mostly folklore. This whiskey based spin—taken from the pages of Meehan’s Bartender’s Manual—is a neat hybrid between a refreshing summer drink and a spiced winter drink. The cider, maple, and fall fruit garnish all lend a cool-weather vibe, but the bubbly, tall stature makes for a refreshing sipper. The drink is equally at home at fall lawn parties or during winter board games. 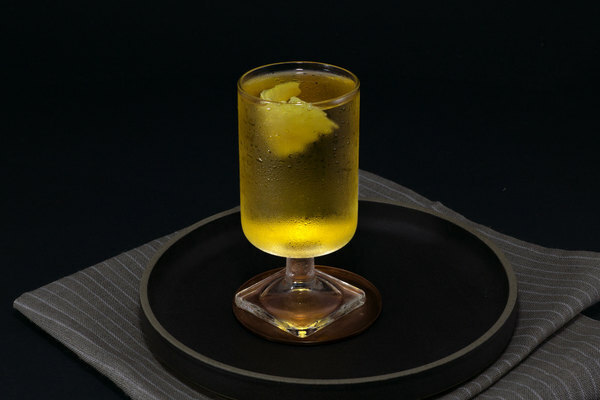 Like the Jersey, this drink is dead simple and places the cider at center stage. Fleshy fruit and rich sweetener are immediately present on the nose, followed by an earthy warmth from maple syrup and whiskey that rounds out the sweet fruitiness. Apple prevails through every stage of the experience. In days of yore, folks used rum here. A more minerally, complex rum such as a rhum agricole vieux would work amazingly well. By the time Jerry Thomas published How to Mix Drinks in 1862, the use of bourbon was common. A spicy whiskey is a good pick, as it helps round out the drink. Only use a quality cider, and of course—only use hard cider. In its original state, the drink called for no sweetener, so skip it if you are using a sweeter cider or just looking for pure simplicity. We love BG Reynolds syrups when we are feeling lazy or in a pinch; their cinnamon syrup worked marvelously in place of the maple.